Jiangsu Academy of Agricultural Sciences, Institute of Food Quality and Safety (JAAS) and Institute of Biotechnology is one of the largest and earliest comprehensive agricultural research institutions in China. It is financed and directly administered by Jiangsu provincial government. Aiming at rural economy and technology development in Jiangsu and China, the JAAS commitment, including basic and applied research, as well as the extension service, is to advance the production of food and fiber, to protect our natural resources, and to improve the quality of life of all Chinese people. 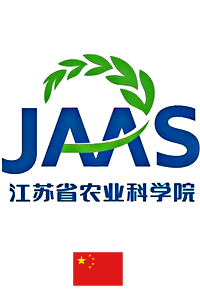 JAAS consists of 13 institutes (or departments) established by discipline on the main campus in Nanjing, and 10 off-campus regional institutes located in different agricultural areas all over the province. JAAS has a total of 2346 full time employees, including agriculture scientists and experts.